Japan has several islands to its name. Being an archipelago with a number of islands, summer season in Japan is one of the best. With its many islands and beaches, foreign visitors flock to the country during summer as they look for the best summer experience there is. Among the many islands that are located in Japan, the second largest one would be Iriomote Island. Known as Iriomote-jima in Japanese, Iriomote Island is the biggest of the Yaeyama Islands in Japan. It is the second largest island located in Okinawa Prefecture. Following the largest island known as Okinawa Island, Iriomote Island is more commonly known as Iriumuti among the locals residing in Okinawa. It borders the Pacific Ocean and the East China Sea. It is situated east of Taiwan and southwest of mainland Japan. With an area of 289.27 square kilometres, which is equivalent to 11.69 square miles, the island has an estimated population of 2,347 as of the year 2005. Because Iriomote Island does not have its own airstrip, visitors can go to the island via ferry. The island accumulated to more than 390,000 visitors as of the year 2006. Visitors depart Ishigaki by ferry and arrive at Uwahara Port, which is located on the northeast coast of Iriomote. Either than or they arrive at Ohara Port, located on the southeast coast of the island. The distance is about 31.4 kilometers between Ishigaki and Uwahara Port. With the coordinates of 24°17′33″ North and 123°51′43″ East, Iriomote Island is administratively under Taketomi Town, Okinawa Prefecture. The coastline of the island is 120 kilometers long, which is equivalent to 80.78 miles. The highest elevation in the island is at 469.5 meters high, which is equivalent to 1,540.4 feet, with the highest point being Mt. Komi, also known as Komi-dake in Japanese. 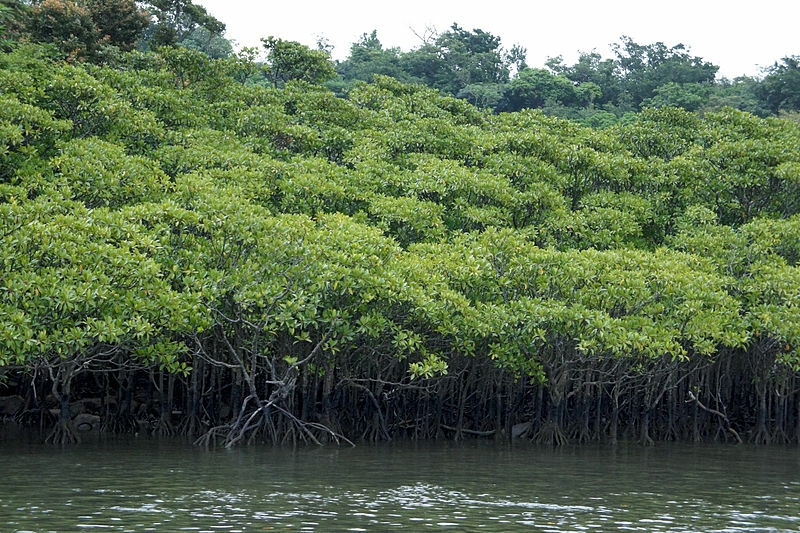 Mangrove swamps, as well as dense jungle, cover about 90 percent of Iriomote Island. Around 80 percent of the island is also considered protected state land. Furthermore, 34.3 percent of Iriomote Island makes up the Iriomote National Park. An active undersea volcano is located just 21 kilometers, which is equivalent to 13 miles, northwest of the island. This volcano last erupted in the year 1924 with its summit 200 meters, which is equivalent to 660 feet, below sea level. One of the most well-known rivers in the island is the Urauchi River. It is the biggest river in Okinawa Prefecture. Other rivers in the island include the Nakama River and the Nakara River. 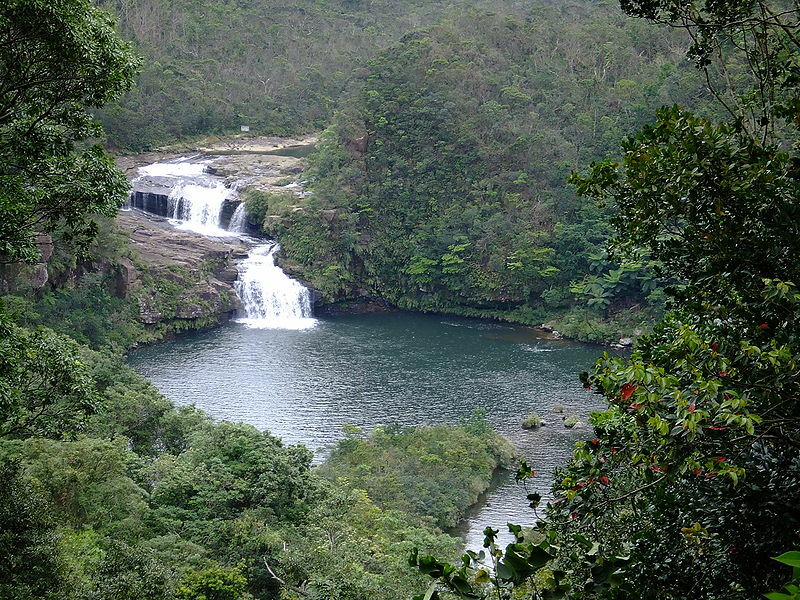 The largest waterfall in the prefecture is also located in Iriomote Island, known as the Pinaisara Falls. With a Köppen climate classification Af, the island experiences a tropical rainforest climate. The island has an average yearly temperature of 23.6 degrees Celsius, which is equal to 74.5 degrees Fahrenheit. The average monthly temperature in the area is about 18.3 degrees Celsius, which is equivalent to 64.9 degrees Fahrenheit, in January and 28.9 degrees Celsius, which is equivalent to 84 degrees Fahrenheit, in July. The typhoon season in the island typically occurs from the month of June to the month of September. Some locals in the island speak the Iriomote dialect of the Yaeyama language. Aside from its booming tourism, the growing economy of the island can also be attributed to agricultural production. This includes growing of pineapples, mangoes, sugarcane, and cultured pearl. As it is an island, fishing also helps sustain the economy of the island. Iriomote Island is also famous for its Iriomote cat. 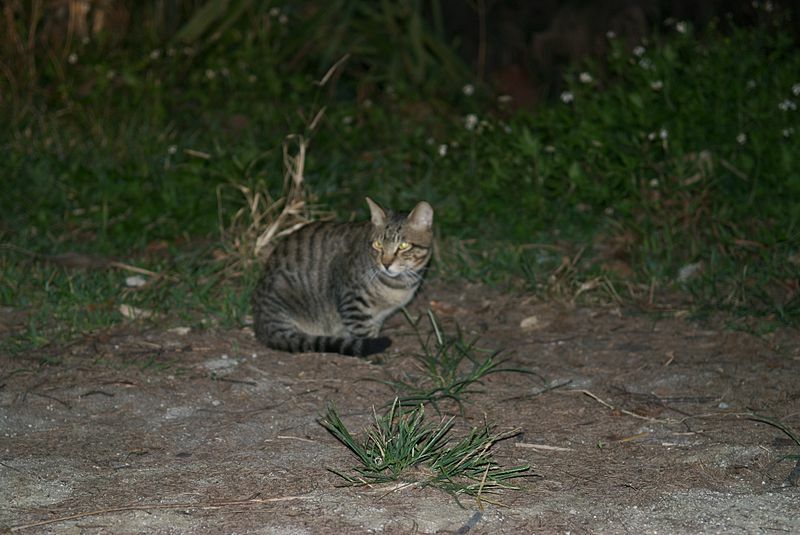 It is a Critically Endangered wild cat that can only be found on the island of Iriomote. The population size of this species is estimated to be only about 100 to 109 as of the year 2007. Another animal that is known to be on the island is a venomous snake known as the Trimeresurus elegans. Locally known as the habu, this snake hails from a species of pitviper whose bite holds 3 percent fatality rate and about 6 to 8 percent permanent disability rate. The most southern hot spring in the country is also located on this island. Known as the Iriomote Onsen, this hot spring resort provides a wide range of bathing facilities. These include indoor baths, outdoor baths, swimming pool, and sauna. Bathing suits shall be worn aside from the indoor bath, as is the tradition in Japan. For hotels, there are several choices that one can look into. Budget hotels include Iriomote Shizen Gakkō and Minshuku Yamaneko. Mid-range hotels include Villa Unarizaki, Iriomote Monsoon, Kanpira-sou, and Irumote-sō. As for a luxury hotel, check out Painu Maya Resort. There are various water activities offered on this island. First and foremost is the Urauchi River Cruise. Being the largest river in Okinawa, this is a major tourist attraction on Iriomote Island. Boat departures are from 9 in the morning until 3:30 in the afternoon. There are no closing days for this cruise. The cost for this cruise is 1,800 yen. Located near Uwehara Port on the northwestern portion of Iriomote, Urauchi River has a total length of 39 kilometers. Its waters are muddy brown in color, which depicts an earthy natural look. The cruise takes about an hour as it travels along the Urauchi River. The cruise ends at a trailhead. From there, visitors can walk through the jungle and reach two beautiful waterfalls in a span of 45 minutes by foot. It is important to take note that guides can only speak Japanese though there is an English pamphlet available. The first of the two falls mentioned is the Kanpiree Waterfall. Said to be “the place where God sits,” this waterfall is believed to be a sacred place according to myth. The waterfall is 200 meters long and 50 meters wide. The fast-flowing water falls on the sand rock of the riverbed. As the water hits the bottom, it shoots up in a white mist, which can be rather refreshing especially on hot summer days. The second beautiful fall is the Maryudo Waterfall. It is the one and only waterfall in Okinawa Prefecture that was chosen for the list of “the top 100 waterfalls in Japan.” Located at the center of the island, it is situated up the Urauchi River. With a height of around 16 meters, the water descends the river in three stages. There is a legend that surrounds this waterfall about an alligator living in the falls. It is said that the alligator eats anyone who dares to pollute the water. Following the Urauchi River is the Nakama River. It is the second largest river not just in Iriomote Island but also in all of Okinawa Prefecture. Boat departures only occur during high tide. Hence, people who wish to try the Nakama River Cruise, it is best to time one’s visit during high tide. Similar to Urauchi River Cruise, Nakama River Cruise also has no closing days. The cost of getting on this cruise is 1,540 yen. The river has a total length of 17.5 kilometers. Situated on the eastern portion of the island, the banks of this river house a real rainforest that many say is one of the most beautiful entities in the natural world. This area is home to a wide range of living creatures. These include mud crabs, barred mudskippers, shirenashijimi, and the famous Iriomote wild cat. Close to the mouth of the river stands the Nakama-big-bridge. People can splash around and cool off at the end of the river where there is shallow water. This is especially fun during the summer season where the scorching heat may make some people lose a bit of energy. There are a few ways that the Nakama River can be traversed. However, probably the most popular way is by taking a sightseeing boat upstream, which is usually part of a day tour. For cruises only, the tour costs about 1,500 yen. For a cruise and hiking in the forest, the cost may reach up to 5,000 yen. On the other hand, there are also other visitors who opt to just rent a canoe and they themselves would paddle upstream. If one would be traversing the river by canoe, it is important to note that the trip typically lasts for around 2 hours each way. One can just imagine how strenuous this option might be for guests. However, many people who have gone down this route swear by its worthiness as they were welcomed by the beautiful scenery and tranquillity of the river. Guided canoe tours may also cost more, ranging from 10,000 yen to 13,000 yen. This usually already includes a boxed lunch. Pre-booking is recommended so visitors could also ride the free shuttle bus coming from Ohara Port to tour assembly locations on the river. Last but certainly not the least is the Kayak River Tour. A guided tour of the Kayak River would take about 3 hours. It costs around 6,000 yen. The tour traverses through the several smaller rivers around the island. A company or two usually operates on each river, offering guided tours that last for 2 hours and cost 4,000 yen per head. Availing of this service should also be made in advance. For the more adventurous visitors, there are unguided kayak rentals available. Aside from the water activities in Iriomote Island, there are also some attractions that one should check out on land. One of the top tourist attractions in Iriomote would be the Iriomote-Ishigaki National Park. Initially, its name was just Iriomote National Park until it was officially changed in August of the year 2007. With an extension, the park currently has a total area of 205.69 square kilometers. The park includes Taketomi Island, Kohama Island, Kuroshima Island, and other small islands that belong to the Yaeyama Islands group. 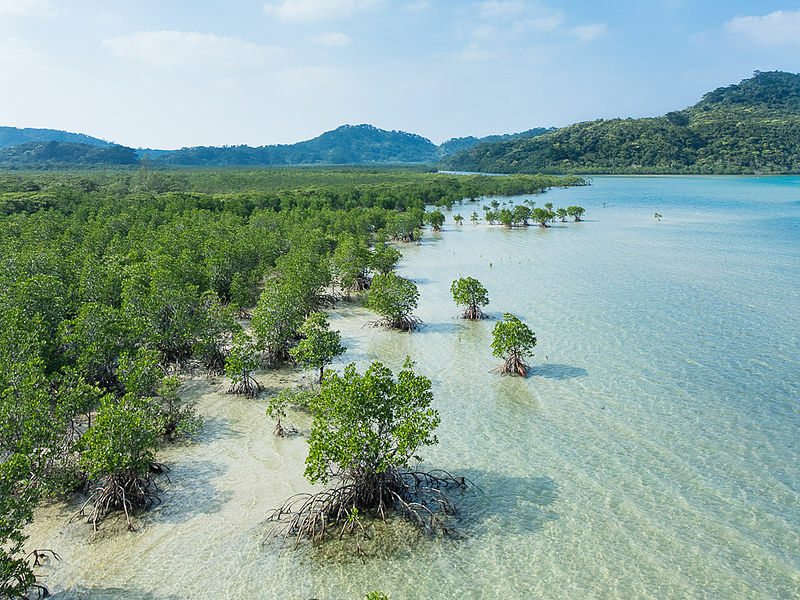 Also part of the national park is the sea that surrounds the coral lagoon and the islands located between Iriomote Island and Ishigaki Island. Of preserved Okinawa eco-system, the Iriomote-Ishigaki National Park is recognized as the most Southern National Park in the country. It is covered with dense virgin forests that consist of subtropical trees. These include mangrove, pasania, and oak. The national park is also a renowned place as the habitat of the indigenous Iriomote Wild Cat. What makes this animal special is that this mammal was actually only officially discovered by science in the 20th century. As for the coral lagoon that is part of the national park, it is the biggest coral lagoon in the country. With its crystal clear blue waters, the lagoon has a width of 20 kilometers from east to west and a length of 15 kilometers from north to south. It is also famous as a source of the most beautiful marine park zones across the country. Another area worth mentioning located in the national park is Nakanougan Island. Though a small island, this place houses huge seabirds and white sand beaches perfect for the summer season. It also houses limestone cliffs as well as traditional Yaeyama houses built with stone fences. Other places to check out in Iriomote Island include Yubu Island and Unarizaki Observatory. Even though the observatory is not that popular among tourists, it is actually one of the places on the island that offers the best views. From the observatory, visitors are able to see the gradient color of the sea from emerald green to deep cobalt blue. With the many water activities offered on the island, Iriomote Island is definitely a must-visit for people who love the waters. It is also a great place to check out during the summer season. With its white sand beaches and beautiful rivers, guests would surely be able to relax while on the island. Furthermore, one would also get to see the beauty of nature because of the natural habitats that can be found in Iriomote Island.